Stunning beaches, whale watching, and gorgeous sunsets. It's no wonder that Sydney is one of the most sought-after destinations for tourists, expats, and backpackers alike. Located on the south-east coast of Australia, Sydney is easily one of the most incredible, fun, and exciting cities to visit in the world. For those visiting Sydney for the first time, a trip to the iconic Sydney Opera House is a must. The Opera House is a performing arts venue and one of the most popular buildings in the world. You’ve seen this paradigmatic building in movies, T.V. shows, and even cartoons; however, seeing it face-to-face life is unreal. Engineers and architects will love to visit Sydney's Harbour Bridge. This gorgeous architectural steel bridge is massive in size and gives the city an unbeatable modern character. Lastly, you can’t visit Sydney and not go to the beach. Sydney offers some of the best beaches in the world. Whether you like to surf, snorkel, or simply relax under the hot Australian sun, you’ll sure find something to enjoy in this gorgeous city. Bondi is a perfect beach for relaxing and whale watching, while Cronulla Beach offers fantastic waves for surfers. Regardless of what beach you end up in, you’ll be able to immerse yourself in the iconic Australian lifestyle that everyone loves. One of the best ways to see Sydney is by taking part in one of its free walking tours. 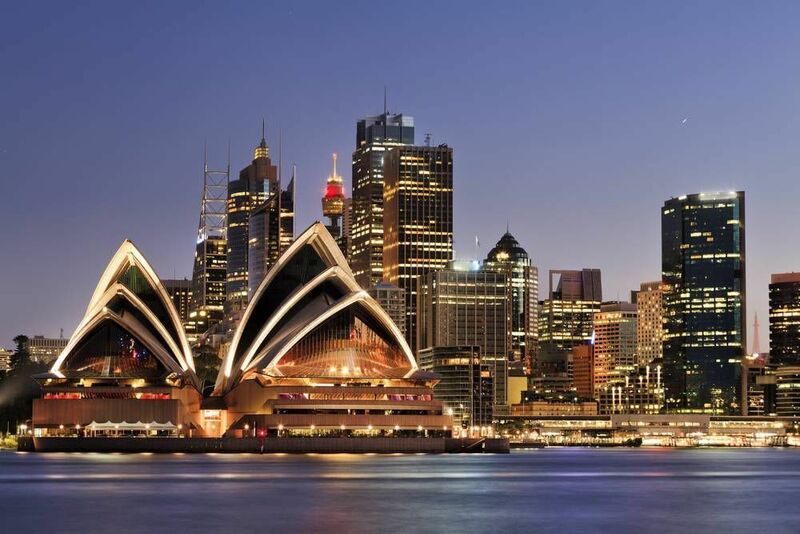 Learn about the culture, see iconic sights, and enjoy the easy going lifestyle of Sydney. Sydney is known for its sunshine and lovely weather. The Royal Botanic Garden is one way to enjoy the warm sunny days. Entrance to the park is free. You can enjoy a walk, bringing a picnic basket, or participate in a free volunteer-led tour. This walking tour lasts approximately 2.5 hours and begins on George Street between the Sydney Town Hall and St Andrew’s Cathedral. On this tour, you will learn about the famous Sydney Opera House, the beautiful Sydney Harbor Bridge, Sydney Tower, and many more landmarks. This is a must do for anyone visiting Sydney for the first time. If you love mysteries, suspense, and a few murder stories, then don't miss the Rocks Walking Tour. This exciting tour takes you on a walk through Australia’s first European settlements. You will also get a chance to visit a few pubs and hear about a few terrifying stories of Sydney's historical buildings. Below you can find more popular (but not free) activities and tours in Sydney. Are you from Sydney and want to be a tour guide? Please get in touch by submitting your details on this page!